We’d love your help. Let us know what’s wrong with this preview of Watching Babylon by Nicholas Mirzoeff. 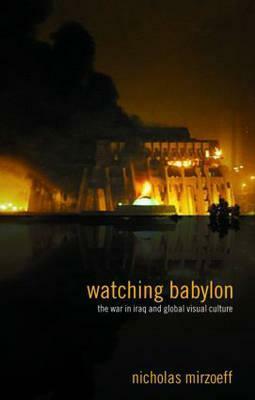 Groundbreaking and compelling, Watching Babylon examines the experience of watching the war against Iraq on television, on the internet, in the cinema and in print media. Mirzoeff shows how the endless stream of images flowing from the Gulf has necessitated a new form of visual thinking, one which recognises that the war has turned images themselves into weapons. Drawing co Groundbreaking and compelling, Watching Babylon examines the experience of watching the war against Iraq on television, on the internet, in the cinema and in print media. Mirzoeff shows how the endless stream of images flowing from the Gulf has necessitated a new form of visual thinking, one which recognises that the war has turned images themselves into weapons. Drawing connections between the history and legend of ancient Babylon, the metaphorical Babylon of Western modernity, and everyday life in the modern suburb of Babylon, New York, Mirzoeff explores ancient concerns which have found new resonance in the present day. To ask other readers questions about Watching Babylon, please sign up. Part II begins promisingly by tracing the "banality of images" and wondering why the images disseminated around the Iraq war didn't cause more outrage. Unfortunately, after introducing this as the topic of the second part of the book, Mirzoeff never gets close to the subject again. And then Part III was so scattershot as to be about nothing at all...only to end with some generic "we need to be more open-minded" post-script. Yuck.